Welcome to the fifth installment of Quilt Uber-Fest, which is the brainchild of the uber-talented and uber-busy Scott Hansen of Blue Nickel Studios. I was thoroughly bedazzled when Scott asked me to participate. I am thoroughly grateful that he has been uber-patient with me and thoroughly grateful to have had a nice tidy deadline to meet. Baby steps. Many thanks, Scott! Before we get to my block, you can check out Scott’s post about the Quilt Uber-Fest right here and see the line-up of block designers. Essentially, during Uber-Fest, you can get a free block pattern each day from 16 different designers. Scott asked us to use two design elements to make the blocks cohesive: log cabin construction and half-square triangle blocks. The possibilities were endless. We also used fabrics from Nel Whatmore’s Sleeping Beauty collection from Free Spirit along with a Kaffe Fassett stripe. I always like a good house block, so my block is called Homes. Nothing too complex, easy pieces — exactly what I’m up for right now. I hope you enjoy it. You can download a PDF of my Homes block right here. 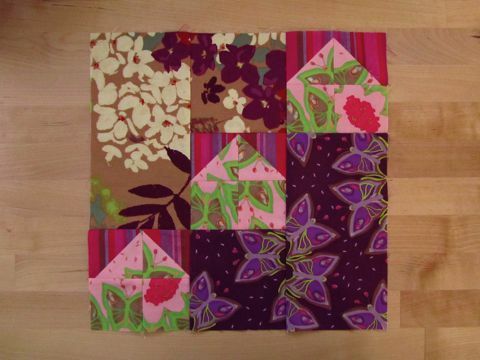 Be sure to check out the Quilt Uber-Fest Flickr page — already lots of fantastic blocks showing up over there. 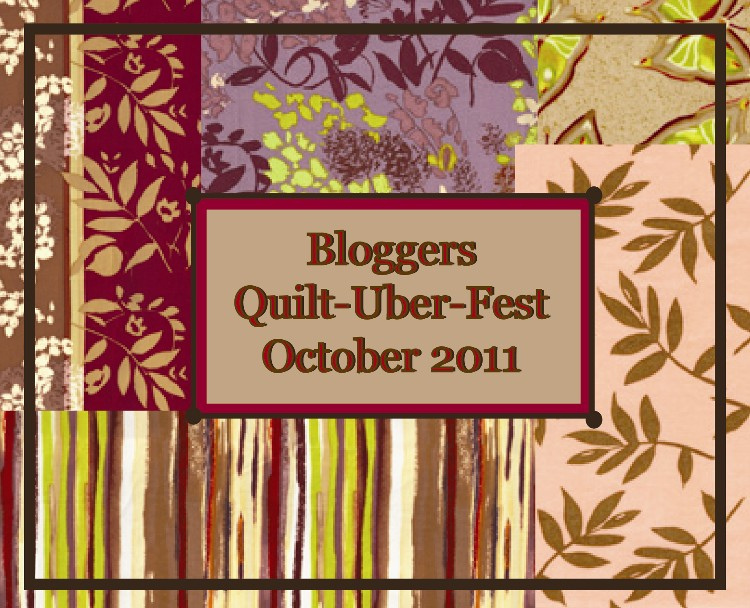 Finally, don’t miss October 6 on the Quilt Uber-Fest tour as Ryan Walsh will have a fantastic block to share with you. Thank you again, Scott! Have fun, everyone!